Byproducts of cereal processing, including milling, starch and distillery by-products. Legume grains and oilseeds such as peas, full-fat soybeans and faba beans. Byproducts of oil processing, such as soybean meal, rapeseed meal and sunflower meal. Fruits and vegetables and their byproducts, such as citrus pulp. Other plant products and by-products. Animal products including land animal protein concentrates and fish meal. Dairy products and by-products, including milk powder and whey. Oils and fats of plant and animal origins. Amino acids and their analogues. The INRA-CIRAD-AFZ feed tables contain chemical data, nutritional data and environmental data of feeds for ruminants, pigs, poultry, rabbits, horses and fish (salmonids). They include values about more than 200 feeds of plant and animal origin and 100 mineral sources. Data are presented in list or table form, on as fed (fresh) and dry matter basis, and include statistics of variability. Ruminant values for energy, protein and minerals (phosphorus, calcium) are provided. Net Energy (UFL, UFV), metabolizable energy and protein (PDI, rumen protein balance) are calculated according to the new INRA Systali system. Values calculated using the former INRA system are included as well. The equations for predicting organic matter digestibility have been updated. The tables include values of metabolizable energy (apparent, corrected for zero nitrogen retention) for cockerels and broilers, digestible amino acids (ileal standardized) and phosphorus availability. The tables include values for net energy (expressed as UFC: Forage unit for horse) and for digestible protein (MADC). UFC values are predicted from the chemical composition and from the digestible energy or digestible organic matter. Feed-specific equations are provided. The tables provide biological values of minerals for about 100 mineral sources. The values are relative to a reference source, usually unique for a given mineral element. The INRA-CIRAD-AFZ feed tables include chemical data are derived from analyses performed in feed laboratories using standard methods and then corrected to produce consistent chemical profiles. 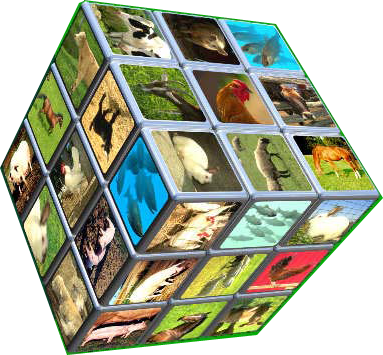 Nutritional values for livestock, poultry and fish are derived from in vivo trials and then established by equations. Environmental impact values originate from the ECO-ALIM project. The tables include values for net energy, metabolizable energy and digestible energy values for growing pigs and adult pigs, values of digestible (ileal standardised) amino acids and digestible phosphorus (with or without phytase). Energy digestibility is estimated using prediction equations specific for each feed material and then used to estimate net energy values. The tables provide values of metabolizable energy (corrected for a zero nitrogen balance), digestible energy and nitrogen digestibility. The tables include values for digestible energy, nitrogen digestibility and digestible phosphorus for salmonids (salmons and trouts). In some cases, values for ground and extruded feeds are provided separately.